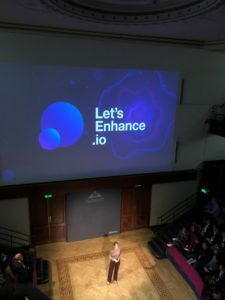 On the 9th October we were delighted to attend the Techstars Demo Day at the beautiful Royal Institution. The day kicked off with an introduction from Techstars’ Managing Director, Eamonn Carey. 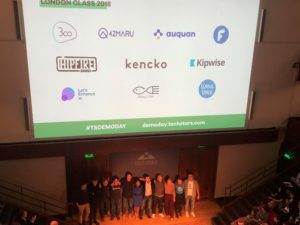 He explained that this year, Techstars has been focused on their worldwide network, travelling to 30 countries and meeting hundreds of teams to select the ten who presented at this year’s event. All ten pitches were all very impressive, including a broad range of companies from search engines to organic fruit and vegetables. 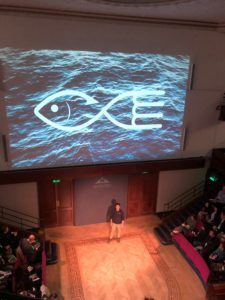 We were particularly impressed by Pesky Fish, a business who are trying to revolutionise the seafood supply chain. Through their market platform, they enable fishermen to sell directly to London chefs, which means the fish is delivered on the same day and is fresher. This greatly benefits the fishermen who can get a fairer price for their fish. As well as benefiting the environment as it enables people to see what fish is in season, and what fish is more sustainable. It lowers the amount of wasted fish and fish thrown back into the ocean. Another company that caught our attention was Kencko. 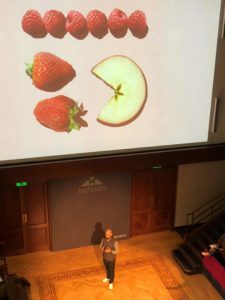 They aim to increase fruit and vegetable consumption by providing a product that is a convenient way to get 2 of your 5 a day. Their sachets contain freeze-dried organic fruit and vegetables, which can be mixed with any liquid (water or any milk) to create a delicious drink. The process they use to create the product is the same as that used by NASA, and preserves all of the nutritional value of the fruit and vegetables. The product also lasts for up to 6 months. Another company that we found interesting was Let’s Enhance. Their platform launched in November 2017 and uses machine learning algorithms to increase image quality. The platform automatically enhances resolution and removes image noise as well as restoring compressed images. With over 500,000 users already, this platform shows promise of even more growth as they move onto video. Thank you to everyone who organised the event and a big congratulations to all those who pitched. It was a truly fascinating and inspiring day!